Are you in search of a smartphone that will fit your budget and won’t burn a huge hole in your pocket? Then your search ends here. The smartphone market is filled to the brim with choice, even when you are on the hunt for smartphones under 10000. However, you must be wondering what features will you get in a smartphone with such a low budget. Well, the answer is ‘a lot’. 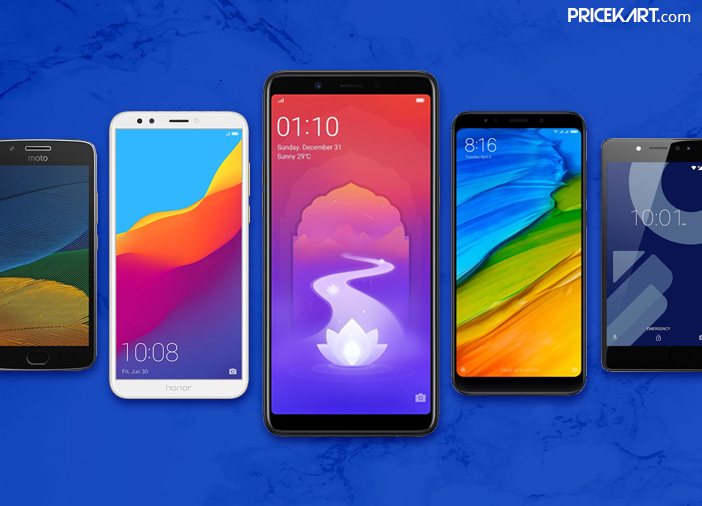 You can expect 2GB-4GB RAM, powerful camera features and 4g LTE connectivity for almost all the smartphones in this range. 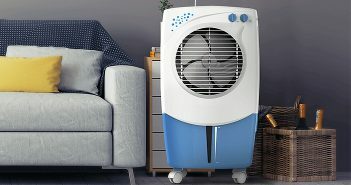 The devices in this range are competent for smooth browsing, gaming productivity, and connectivity. Take a look at our list of top Android smartphones under 10000. For a low-budget smartphone, Xiaomi Redmi 5 comes with a lot of interesting features. The smartphone runs on Android 7.1 Nougat OS and features a 5.7-inch HD+ 18:9 aspect ratio display. Apart from that, the smartphone is equipped with a strong battery, amazing camera features, and a smooth gaming experience. Furthermore, you have the choice to pick this smartphone in Gold, Rose Gold, Blue and Black colour variants. The price of the 2GB variant starts at Rs 7,999. And, the price of the 3GB variants starts at Rs 8,999. Take a further look at the specifications of the Xiaomi Redmi 5 smartphone. Although this smartphone just cuts the price range, it is definitely worth considering. Priced at Rs 9,999 (3GB variant), the smartphone has an amazing bezel-less design, sports dual-rear cameras, and performs incredibly well. Interesting, Honor 7C is one of the few smartphones under 10000 to feature dual rear cameras. Also, the smartphone runs on the Android 8.0 Oreo OS. It is an OS that has still only reached a minimum number of smartphones. You can also consider the Honor 7A smartphone. It falls in the budget and shares a lot of similar features with Honor 7C. Take a further look at the specifications of the Honor 7C smartphone. The Moto G5 features a 5-inch IPS LCD display with capacitive touchscreen support. It sports a sleek design and is a lightweight handset. The quad-core processor and 3GB RAM accelerate the device to a great extent. Plus, it is a dual-SIM smartphone with 4G LTE connectivity. For a smartphone priced at Rs 7,499, Moto G5 is equipped with a 13-megapixel rear camera that can capture stunning and clear pictures. It is one of the basic and easy-to-use budget smartphones on the list. Take a further look at the specifications of the Moto G5 smartphone. Lenovo K8 Plus is an excellent choice if you are looking for smartphones under 10000 price range. This smartphone is the second on our list to come with the dual rear camera feature which will let you click pictures in Bokeh mode. Furthermore, the smartphone sports a 5.2-inch FHD display, a powerful 4000mAh battery, and a MediaTek Helio P25 chipset coupled with 3GB of RAM. For audio, the smartphone comes with a dedicated Music Key on the side panel. The smartphone is also equipped with Dolby Atmos audio enhancements. The 3GB variant of the smartphone is available at Rs 9,099. Take a further look at the specifications of the Lenovo K8 Plus smartphone. 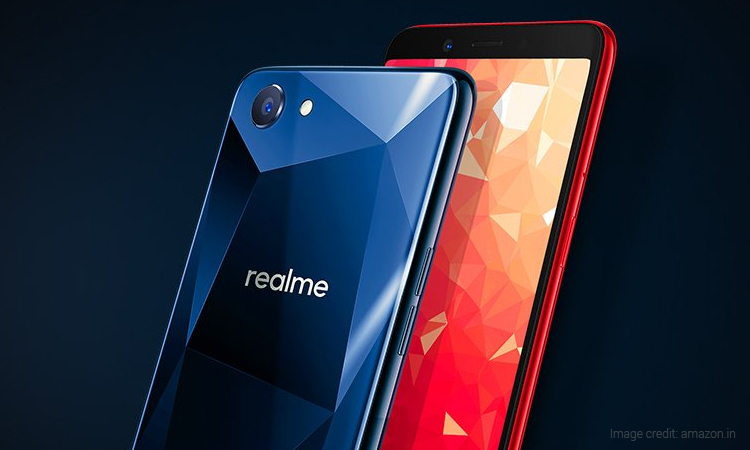 Oppo recently launched a new ‘Made in India’ online-only smartphone brand called Realme. The first smartphone of this brand called Realme 1 is a great pick for smartphones under 10000. Additionally, for a budget smartphone, Realme 1 sports an excellent design with a Black Diamond rear panel with triangular cut patterns. As for the specifications, the smartphone features a 6-inch FHD+ display, 32 GB of built-in storage (expandable), 13-megapixel rear camera, 8-megapixel front camera and MediaTek Helio P60 processor. 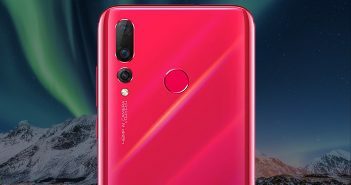 Moreover, the front camera is equipped with AI to support features like Bohek and vivid shots. The 3GB variant of this smartphone is priced at Rs 8,990. Take a further look at the specifications of the Realme 1 smartphone. 10.or also pronounced as Tenor, is a relatively new Indian smartphone brand. 10.or G which launched in September last year has a bunch of interesting features. The smartphone is available in 2 variants. The price for the 3GB variant starts from Rs 7,699 onwards. And, the price for the 4GB variants starts at Rs 9,494. As for the specifications, it is a 5.5-inch Full HD IPS display smartphone that runs on Android 7.1.2 Nougat OS (upgradeable to Oreo). It is another smartphone that features a dual camera setup on its rear panel. 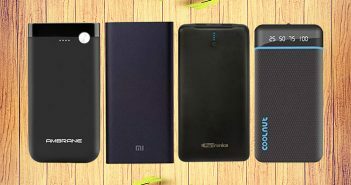 The smartphone also sports dual speakers a strong 4000mAh battery that can last for hours. Moreover, the built-in storage on this smartphone can be expanded with a microSD card. Take a further look at the specifications of the 10.or G smartphone. If we are talking about budget smartphones, it is impossible to not have Micromax on the list. Micromax Canvas Infinity offers a bright and clear 5.7-inch display with HD resolution. The fingerprint scanner adds convenience and reliability to the device. The device is accelerated by a 3GB of RAM and a fast processing 1.4 GHz octa-core processor. The front and rear cameras on the device provide detailed picture quality. The smartphone comes with a price tag of Rs 8149. 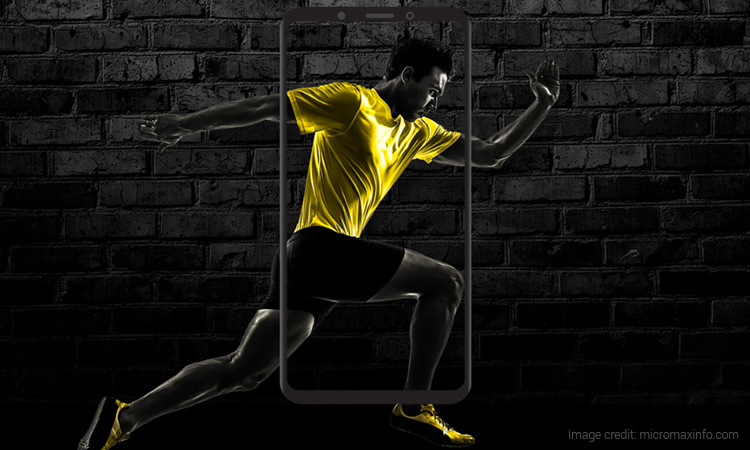 Take a further look at the specifications of the Micromax Canvas Infinity smartphone. This is another incredible smartphone in the budget price range. This latest smartphone comes with a 5.6-inch bezel-less display. It has some noteworthy features like a powerful battery and a great selfie camera. The smartphone is available in two variants, with the 4GB variant being a little over the 10000 budget. Additionally, Infinix Hot S3 also has support for the face unlock feature and fingerprint sensor for security purposes. The 3GB variant of this smartphone comes with a price tag of Rs 8,999. Take a further look at the specifications of the Infinix Hot S3 smartphone.